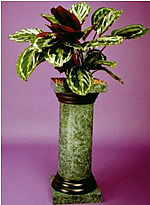 The unique Fountain Planter is a self-watering planters system that is ideal for home office, lobby, porch/patio, weekend (also known as garden planters or outdoor planters or flower planters or plastic planters or deck planters or patio planters or decorative planters or hydroponic pots of self watering pots) cabin or lake house. Perfect gift for the person travel, or has everything. 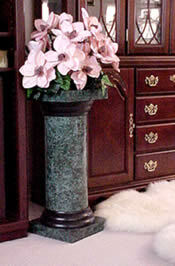 The beautiful self planter is designed in a classic column styling that will match most any décor.